As most of you know, my reviews for the second book in the series is always short in case other people have not read the first but I almost don’t know where to start without giving stuff away or posting spoilers! 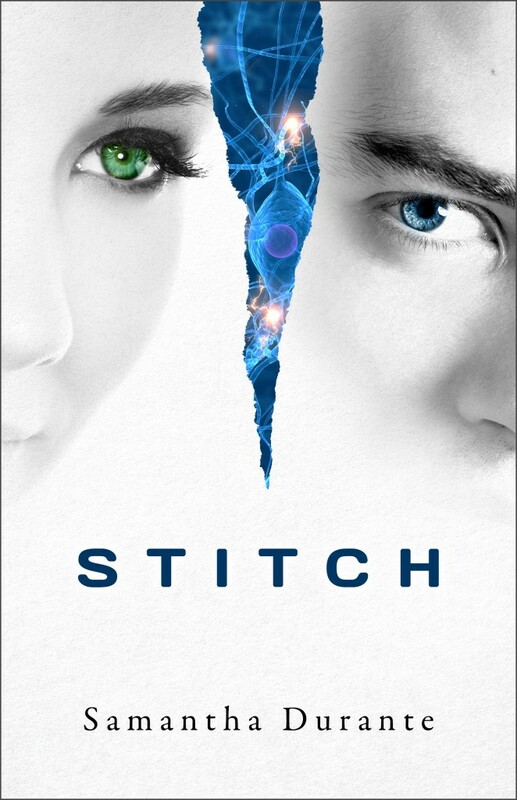 I loved Stitch, the first book. It was blow-your-mind amazing and Shudder was exactly the same way. I was on pins and needles waiting on this book, dying to know what was going to happen to Alessa and her crew. The complexity of the plot and the dynamics have you wondering what exactly Samantha has in her mind to be able to imagine this complex world. I never one time imagined that what happens in the book could actually happen but now the idea is planted firmly in my mind. It is a little freaky. While reading the book, you will do nothing but search your mind, wondering what in the world could happen next, and you would be wrong every time. I highly recommend that if you have not read Stitch, you go grab your copy, devour it, and then grab Shudder for even more mind-blowing action. This is one series that you do not want to miss! I am already dying for the next book. I give it 5 stars! Also available in the iTunes store ($2.99 e-book) and wherever e-books are sold Shudder will be available on B&N Nook, iTunes, and Kobo by early July! The tour will feature author and character interviews, reader reviews, guest posts on everything from dystopian philosophy to the writing process, and of course, lots and lots of giveaways! 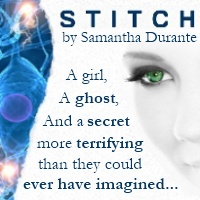 For daily notification of the day’s events, Like Samantha’s or the Stitch Trilogy’s Facebook page, or follow @SamanthaDurante on Twitter. 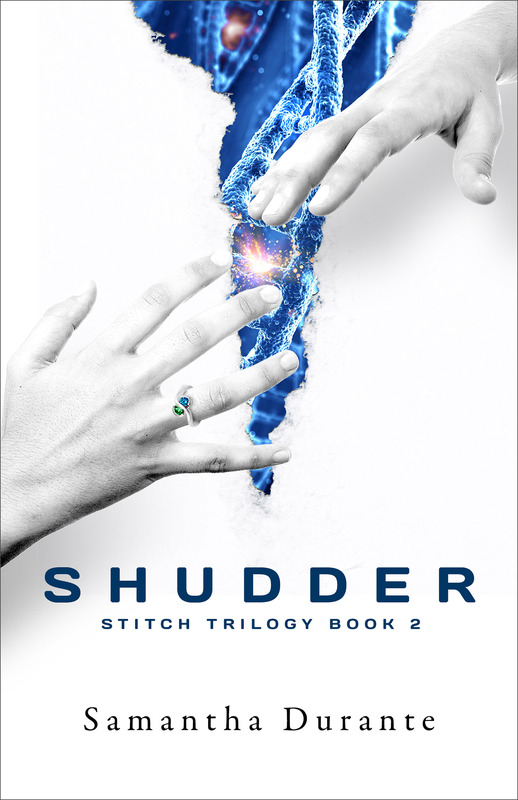 Today we have a cover reveal for Samantha Durante’s “SHUDDER”, the second book in the Stitch trilogy. Before I get to the cover reveal, I want to give you all of the information for book 1, Stitch, in case you have not read it. It was an AMAZING book! Sample Chapters: Link coming in June! I have to start off by saying that I love post-apocalyptic novels and this one sucked me in from the very beginning. This story follows Dani and Zoe as the world as they know it ends. Pretty much 90% of the world’s population has died from a weird version of the flu. Only the people that have already had the H1N1 virus seemed to have survived. The girls are separated, trying their best to meet back up. They correspond with email while the internet is still up, keeping each other up to date on the numerous changes in their lives. The people that survived either turned into “crazies” or developed unique developments, super powers if you will, but much more plausible. Both of the girls notice that they are getting these unique abilities and the ones that they get are ones that are so neat. Dani is in a group of people with Zoe’s brother Jason. She has had a crush on him for her whole life. Zoe is with a group of people that she just met up with, part of a military group. Jake is part of her group; he is a mysterious person who saved her life but won’t let her get to close. Both of their groups were well-established. I loved the distinction of the characters, how everyone was developed and felt like a friend at the end. The romance was great, not too much, not too little. I was hooked from the first page and it was so hard to put it down. The ending was left wide open for the next book. I could not believe who MG turned out to be! This book had it all, mystery, excitement, sorrow, emotion, happiness, and hope. I cannot wait for the next book! 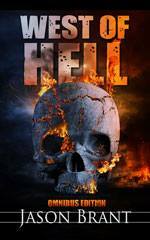 Today we are going to have a promo of a new post-apocalyptic book by Stephanie Erickson. There will also be a giveaway! TODAY ONLY FOR CYBER MONDAY IT IS ONLY $0.99 ON AMAZON! 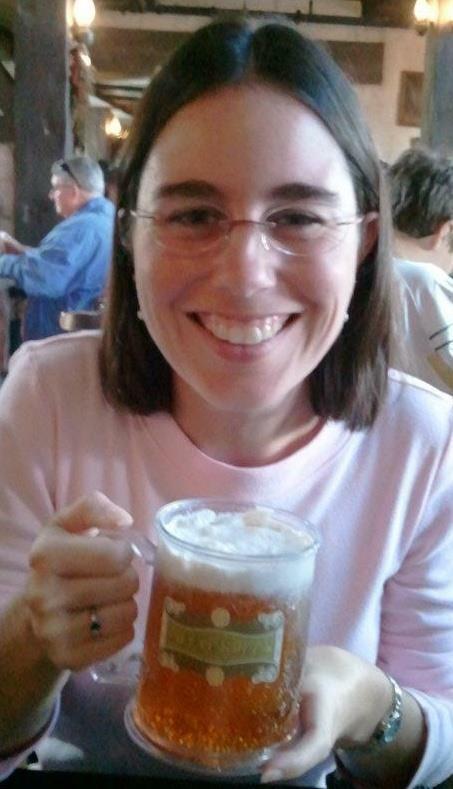 Stephanie Erickson graduated from Flagler College in St. Augustine, Florida with a degree in English Literature. She went on to pursue a career in graphic design, however writing remained her passion. The Blackout is her first novel of many, she hopes. 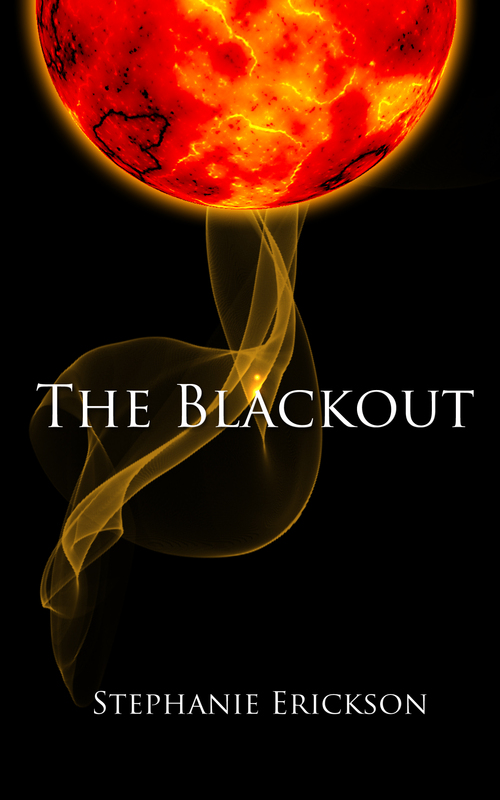 Stephanie has been kind enough to offer up 1 kindle copy of The Blackout. To enter this giveaway, please leave a comment telling me WHY you want to read these books and/or ask the author a question. This is MANDATORY! For an extra entry please like Stephanie’s facebook page. Remember to follow the comments (a box you can check) to be notified to the answers to your questions! Today I am going to be doing a double review on the Ele Series by Rebecca Gober & Courtney Nuckels. These books rocked my world, combining my love of paranormal with my recent passion of post-apocalyptic/dystopian. That is one combination you can’t beat. If you haven’t read the books only read the first review, that way I don’t spoil anything for you. The first book is FREE on Amazon and Smashwords and TWO lucky people will win a signed bookmark! The book starts off with fifteen year old Willow waiting in a huge line with her family. Why? To be screened to see if they eligible to get into a shelter. Willow lives in a post-apocalyptic world which came from a “virus brought forth from a cure”. In trying to rid the world of disease they brought forth a super virus that has been killing people off at an alarming rate. Life as they knew it stopped, children were home schooled and people were afraid to leave their homes. The government implemented Project Ele, which is raising the temperature of the earth to exceedingly dangerous degrees in hopes that it will kill off the virus. The shelters were set up to protect human life, but you have to be healthy with no latent disease in you, and you have to pass rigourous screening to be let inside. Once inside the screening, Willow learns that her and her father are accepted…but the rest of the family is not. With her family torn apart, Willow enters the shelter. Inside life is totally different. Forced to work, Willow meets many kids inside that she connects with, one being her boss. Connor, Claire, and Alec become Willow’s rocks. Together the four of them decide to explore theirselves out of their boredom, finding WAY more than they baragained for. This book is filled with emotion, suspense, action, and a good dose of unique paranormal. I read this book in a day and was SO thankful that I already had book two in my hands. The cliffhanger at the end will have you begging for more. I’m not gonna say much more because I dont want to spoil it. Lets just say that I was suprised at the way the book turned out and that I have found a new pair of authors to love. The small grammatical errors did not detract from the story in my opinion. The book is just too good to care…and this is coming from an editor! If you have not read book 1 DO NOT READ THIS REVIEW! This is gonna be a short review as I don’t want to spoil it for anybody. The cliffhanger from book one finds Willow on the outside, with more powers than one teenager should have, and a suprising reunion with a mother that is now a warrior. Life on the outside is full of danger. The Reapers are out to take lives and take powers. Stuck searching for her friends, not knowing if they are alive or dead, worrying that her mother’s people won’t accept her, learning how to protect herself in this new, scary world, and getting a hot bodyguard that wants to be more, has Willow’s head spinning. 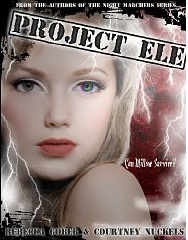 This was the perfect sequel to Project Ele. It had me on the edge of my seat, though I finished it in just a couple of hours. Left with yet another cliffhanger, I am dying for more! Today I have two beautiful, signed bookmarks to offer up for giveaway. They are double-sided, one side The Ele Series and one side The Night Marchers Series. To win one of these bookmarks all you have to do is LIKE the authors facebook page AND leave a comment telling me that you did ALONG WITH a question for Rebecca and Courtney. Extra entry for liking the Night Marchers (above) page as well. I read both the 1st book (Devastation) and the second book (Isolation) by Shandy L. Kurth and I absolutely fell in love with both of them. I am in a really big apocalyptic/dystopian kick right now so these books were right up my alley. If you have not read the first book, Devastation, please be aware that there will be spoilers in this review of the second book. Isolation picks up where Devastation left off, all of the kids spread out in the Safe Zone, after a long, terrifying journey to get there where they suffered through starvation, dehydration, and debilitating fear. Even after reaching their destination Fallon, Desiree, Sandi, Brody and Guy are left to realize that there is nothing SAFE about the Safe Zone. America is still in the war with Canada, life is hard and nothing like before the war, and the kids have been forced to grow up way to fast. Living in group homes and working wherever the government tells them to work, school and being a normal kid is a thing of the past. Fallon and Desiree are finally back together again after being branded as traitors and then pardoned, but they only have a few days together before Fallon is sent off to war, as every able-bodied person, male or female, over the age of 17 is. Brody and Sandi have started a new relationship even though they know that they will both be sent off to war soon and who knows when they will see each other again. Guy, the Canadian that saved their lives, is fixing to be thrown into a situation that he might never get out of, spying on his own country to help the Americans. Will the kids make it through alive? Will their relationships last? What else can the world throw at them that it hasn’t already? Apparently, it can throw so much more at them as their journey continues…in the Safe Zone…and in the war. 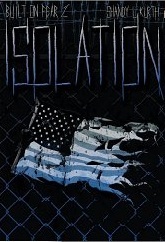 Isolation was a very enjoyable, action packed read. I found myself holding my breath on multiple occasions and also crying my eyes out. These kids have went through so much, in the first book and the second. The setting just seems like it could be realistic, like it could happen tomorrow. You instantly connect with the characters and you bond with them in ways that have you fully invested in their futures. In Isolation, new characters are introduced and right off the bat they are just part of your heart as well. 12 yr old Danny will break your heart and make you root for him till the end and Demsey is just a straight up hero in my book. I highly recommend that you pick up the Built on Fear series. I am eagerly awaiting the third installation. I actually tried to turn the page on my kindle for like 2 minutes on the last page because I just could not believe that it ended that way! I give Isolation 5 stars! “Your faith, your perseverance, the fact that we’re even here! I mean…there has to be something, right? If I have talked you into reading this book, please leave a review for the book where you bought it. Every review helps the author. Buy link beneath the cover for both the first and second book in the series. Shandy has been kind enough to offer up two e-books of the Built on Fear series (Winners choice book 1 or 2) for giveaway. To enter this contest please leave a comment with a question for the author and/or a comment telling why you want to read this book. The question/comment is MANDATORY. For EXTRS entries you can like Shandy on Facebook or Fan/Friend her on Goodreads. Make sure you tell me what you do so that your extra entries will count. Contest ends 10/26 at 8 am CST. Alessa is a college freshman whose parents died in a car crash when she was 18. She pushes past her depression, or tries to, by attending college and living in a sorority house, even though she does not fit in. Alessa has one friend that she can count on in the house, Janie, who is also a freshman. Alessa starts seeing flashed of something out of the corner of her eye, and it evolves into seeing a ghost, a boy that looks to be her age, maybe a little younger. Alessa is drawn to the ghost with a magnetic pull that she does not understand. Terrified by the sightings, even though they only last a few seconds, Alessa is also strangely bereft and depressed after she sees him, longing to catch a glimpse of him again. Then, she starts having strange dreams, dreams where she is locked in a prison, or fighting in a type of war, and the boy is with her. When she starts researching the house in hopes of finding out who the boy is, she discovers that his whole family dies because of a fire. Alessa starts off on a quest to try to change the past and try to save him and his family. Let me just say OMG! I remember reading the back cover when I first received this book for review, but by the time I started reading the book, I only vaguely remembered that it had a girl and a ghost in it. I thought it would be like so many countless other books I have read about a girl falling in love with a ghost. I WAS WRONG! This story is not what you expect at all. I was floored when I hit the twists and turns that finally explained what was going on. I never expected it at all. This book was so intense that I literally read it in 1 day and could not put it down. The main characters are well thought out and you instantly connect with them. The storyline was complex, and I love books that keep me guessing to the very end, and this one did. Besides, I love dystopian books and this one was one of the best I have ever read. This book is a must read. I give it 5 stars and I cannot wait for the next one. I want it BAD! Oh, and I have to mention the cover of the book because it is awesome. It is one of those books that you know just by looking at it, that you HAVE to read it! Once again, if I have talked you into reading this book, please leave a review where you bought it, or on Goodreads! Every review helps the author! Samantha Durante lives in New York City with her fiancé, Sudeep, and her cat, Gio. 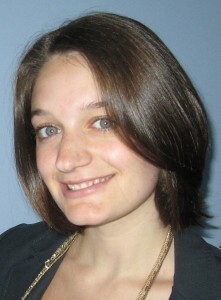 Formerly an engineer at Microsoft, Samantha left the world of software in 2010 to pursue her entrepreneurial dreams and a lifelong love of writing. 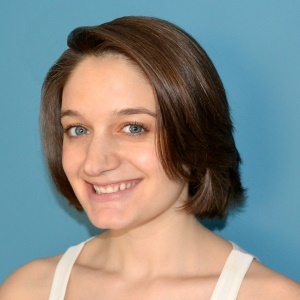 A graduate of the University of Pennsylvania’s Jerome Fisher Program in Management & Technology, Samantha is currently working full time for her company Medley Media Associates as a freelance business writer and communications consultant. Stitch is her first novel. Learn more about Samantha at http://www.samanthadurante.com. We are going to try a RAFFLECOPTER GIVEAWAY! I can’t get it to imbed on here but I can put the link that will take you to it. Shalini Boland weaves a story of ‘Perimeters’ and devastation in a post-apocalyptic world. This story is told from two different character point of views, from different times in their history. Riley, a sixteen year old girl, who grew up inside the Perimeter walls, born after the terror attacks and devastation that happened to the world, and Eleanor, another teenage girl before the attacks. The ‘Perimeters’ are closed communities of people who are lucky, and rich, enough to buy safety. Others are not so lucky as poverty rampages the world, and it is a fend for yourself mentality. Riley’s story starts off with the death of her fourteen year old sister Skye. Riley decides to go after the killer, taking along her neighbor Luc. They set off on a journey outside of the Perimeter walls that takes them through all sorts of scary and thrilling adventures. Riley, who comes to realize she has feelings for Luc, feels guilty because Skye had a major crush on him. Both Luc and Riley seem strong and reliable, though sometimes Luc seems a bit angry with Riley and Riley breaks down and has nervous episodes. I would say that it seems like character inconsistenties, but they are teenagers and ups and downs go with that ride. Their journey is one that will have you biting your fingernails and wondering what’s next. It was amazingly sweet watching them grow and learn together. The brilliance of all their plans, even when they failed, had me rooting for them through every page. The second main character is Eleanor. Her story starts off with her as a teenager. The world seems to still be intact and you really do not follow what her role is. It becomes clear later on, though her story is interesting and enjoyable, when it clicks in your head and you are like, “Oh my God, duh!” It is amazingly complex and at once impossibly simple, and it makes you feel for her character in a split kind of way when you come to the jaw-dropping conclusion. You do not know whether to pity her, dislike her, or empathize with her. I came away with all three feelings. 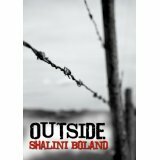 Shalini Boland did a bang up job of weaving a tale of a realistic post-apocalyptic world. I would have liked to known a bit more about what happened to cause the terror attacks because that did not stand out as explained really well. Besides that, the two concurrent storylines weaved together brilliantly, taking you on a ride of twists and turns, that had you confused and speculating about what was coming next. I mean that in a good way. Books that I can figure out the plot and twists before I finish reading them are not as good as ones that leave me guessing until the bitter end. I was completely shocked at how all the events unfolded at the end. I really did not see it coming. 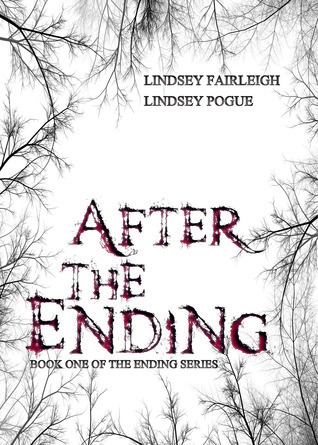 I did think that the epilogue gave off too much information, especially since this is the first book in a series. I think I would have been left wanting a little more than I do now without the epilogue, as it seemed to tie up most of the loose ends. Though, there is plenty of more left to make me want to read the second book, as Shalini Boland makes you curious about new characters in the epilogue. All-in-all, I thought this book was definitely worth reading. The realness of it makes me hope that nothing like that ever happens in mine or my children’s lifetimes. If you like post-apocalyptic books, this story is for you. I love post-apocalyptic books and thought this one deserved 4 stars. Great Read! Once again, if I have talked you into reading this book, please leave a review where you bought it. Every review helps the author. I will put a link for the book below. I hope you give it a chance.